Since the e-Ticketing system was introduced in October 2017 many difficulties have been faced by the people who are daily bus users. This is a clear indi­cation that there was a huge lack of planning and consulting before in­troducing this new system for daily use by the consumers. Children not being able to re­place their cards if lost and the hard ship of not being able to reach their homes on a bus. There is no justification on why this current government is putting further burden on the taxpayer. The travelling public should not be bearing the brunt of revenue collec­tion at huge inconvenience to the public.. The current e-Ticketing system imposed on the people of Fiji is also making extra money which the gov­ernment is not entitled to based on the overcharging faced by passen­gers. For example if 500 passengers are overcharged $0.10 daily from around Fiji, that would add up to $50.00 extra being collected by Voda­fone and in seven days that would amount to $350.00. This is just an example using $0.10 cents. There have been many occa­sions when people have complained about being overcharged in excess of $1.00. The Electronic Fare Ticketing Act 2014, Legal Notice No. 63 states that a person must pay the required fare to reach his or her destination, any person who contravenes that com­mits an offence and is liable to a fixed penalty of $50. Where a person fails to pay the fixed penalty and a late payment fee within the prescribed period, the person is liable upon conviction to a fine not exceeding $500. One thing which is missing from the Electronic Fare Ticketing Act 2014, Legal Notice No. 63 is an av­enue for people to seek redress. Why was this option left out? It makes no sense for a legislation to be introduced which places heavy fines on the people but does not pro­vide the people an avenue to seek redress. Why are there no fines against the service providers which include Vodafone, the company which pro­vided and implemented the system and LTA, the body which saw to the introduction of this e-Ticketing sys­tem. It would have been fair if the leg­islation had provided for fines, re­dress and compensation to be paid out by Vodafone and LTA. People who have been over charged and who have attempted to seek re­dress did not have much success. One particular person who de­scribed her experience to me said that when she first went to Voda­fone, they asked her to go to LTA and when she went to LTA she was once again asked to go to Vodafone. I have heard the same story from many other passengers and it once again confirms that the E-ticketing system lacked proper planning and consultation. People should have been consulted before the introduction of the E-Ticketing system. 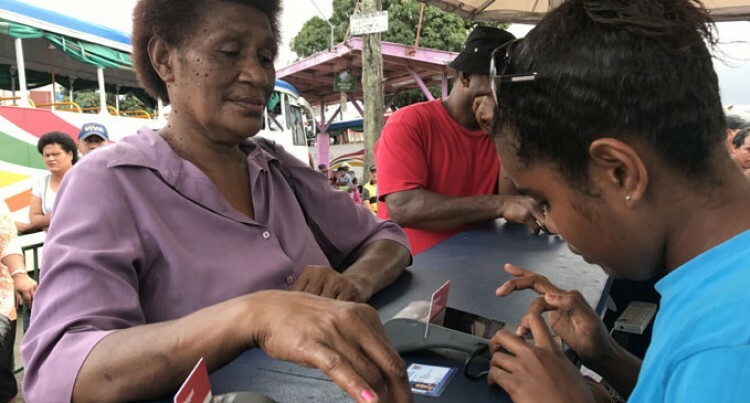 At least a cash payment option to­gether with the card payment would have lessened the heavy burden and hardships which have been forced upon the people of Fiji. The views and opinions expressed in the article below are entirely those of Aman Ravindra-Singh and not of the Fiji Sun.